I am perhaps not the world’s biggest fan of Paw Patrol. I think it’s fair to say I hate it with a fiery passion burning like the sun. My son, one week away from turning 4, likes it a fair amount. Not his favourite – it’s no Octonauts or Wild Kratts – but enough that I put him to bed in Paw Patrol pyjamas. Our opinions differ. As, it turns out, they do on this grimly perfunctory and dreadful game that he likes. You may be fortunate enough to not know what or who the Paw Patrol are. Let me spoil that. It’s about a young boy called Ryder and his team of anthropomorphic pups who help people and animals in trouble. They are an international kids’ TV sensation, created by Keith Chapman, who previously created Bob The Builder. (Keith, I’m guessing, might have been bullied by girls at school or something, because his programmes barely feature them. Paw Patrol has poor pink Sky as The Girl One in the regular team of six.) For the Paw Patrol, I’ll have you know, no problem is too big, and no pup is too small. 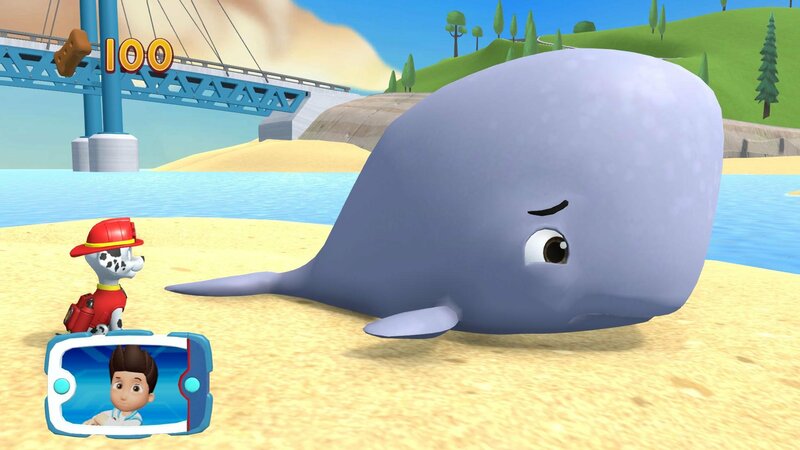 The resulting cartoon is a plasticy CGI that at the start was primarily about the pups enthusiastically using their individual skills and vehicles to help stricken birds or stranded sea turtles, while avoiding the hapless mistakes of friendly doofus Captain Turbot. However, when I idiotically took myself and the boy to the cinema last week to see “six new episodes”, it seems it has since degraded into the usual ‘idiot antagonist gets in trouble and has to be rescued’ bilge of third-rate pre-school cartoons. (As we left the cinema I said to my son, “Sorry Toby, my brain is just soup now.” Another dad heard and exclaimed to me, “ALL THE EPISODES WERE THE SAME!”) This game is set back in those original days, when times were simpler, and there wasn’t a team of evil cats trying to thwart them. It’s fair to say On A Roll does a good job of capturing the cartoon. It’s bland, repetitive, churned-out rubbish seemingly based on the mantra, “Oh who cares, it’s for three year olds.” I’ll tell you who cares: THE PARENTS. The game consists of the same level over and over and over and over and over, in which you play as one of eight dogs (they’ve also included Everest, The Other Girl One who seems to only turn up in the feature-length eps, and one other boy dog who is never identified nor featured in as many levels as I could cope playing), running and jumping inexorably to the right. Along the way you’re asked by Ryder, approximately every seven seconds, to collect as many dog biscuits as you can, on your way to nebulously rescue an abandoned rabbit or build a bridge for a duck – just a thing that it says you’ve done once you’ve reached the far right edge. I’m not really sure what to tell you. He’s three? He’s exactly the target market for “this’ll do” game development? 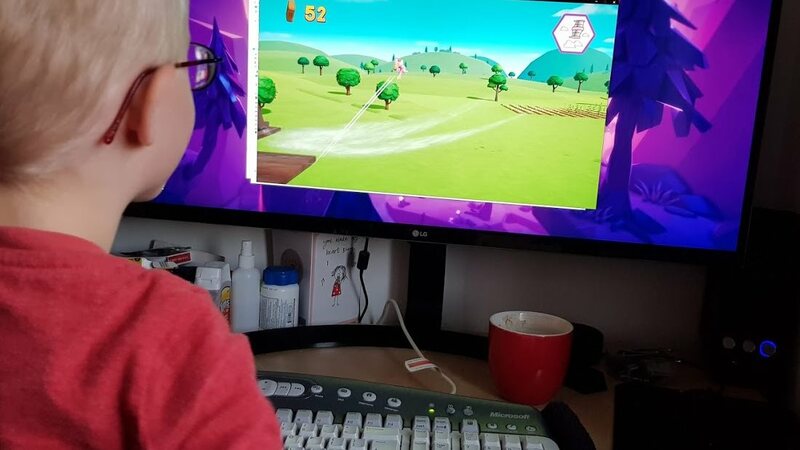 The game had characters from the TV show he likes on it, and he got to move them, albeit while trying to operate either end of the keyboard at the same time as Ryder incessantly bleated at him to use a “stick”. Daddy: What do you think of this game? Daddy: Really? Why do you think it’s good? Toby: Because it’s about Paw Patrol. Daddy: Did you like the running and the jumping? Toby: I did like the jumping. I did like the running too. Daddy: What did you think of the pictures? Toby: Good! Because it was lots of different Paw Patrol working in a team. Daddy: What do you think of Ryder in this game? Toby: Not one bit good! Toby: Because he’s just so whingy! Telling us to do things that we already know! Daddy: What do you like about what you do in this game? 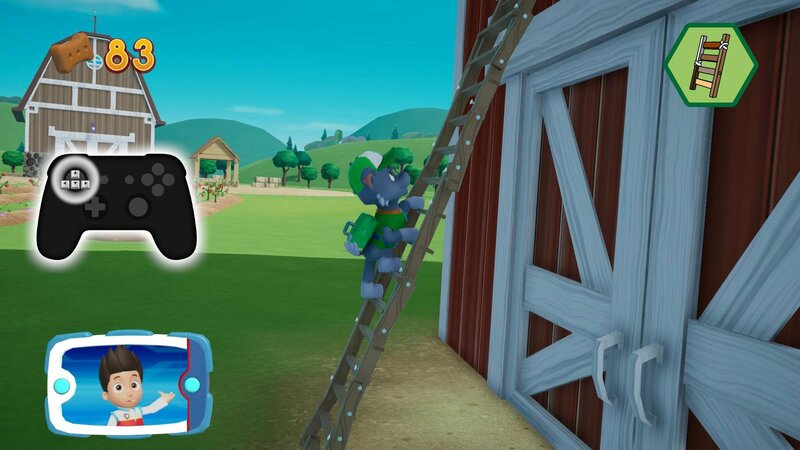 Toby: Because… because the Paw Patrol work as a team! I said that two times! Daddy: Oh, I’m SO sorry. What’s bad about this game? Toby: No, just Ryder. Such a whingypops! So at least we agreed on one point. Seriously, Ryder (American version) talks so incessantly that he more frequently interrupts himself with his next comment than leaves a moment of quiet between them. Which makes it all the more strange that he’s the only voice in the game. They didn’t even bother hiring voice-a-likes (which, honestly, could have been any six kids) to deliver the pups’ individual catchphrases. So there are no exclamations of Chase being on the case, and Rocky never once appeals that we don’t lose it but reuse it. That might be a blessed relief for any parents who think they might just pop out on a brief murder spree if they have to hear such things ever again, but it really does feel odd in a game that’s, you know, about the dogs. Which makes the point, really. The absolute minimum has been put into this, beyond some nice details with the pup’s animations. It’s essentially the same bland nothing level again and again, with embarrassingly badly ported controls, and one voice actor for a game based on a series featuring a dozen well known characters. And he liked it. That’s all they needed to do for their target market, isn’t it? So should they have done more? Would it have been worth anyone’s time to do so? I’ve no idea. It’d have made it a lot more pleasant for the parents who sit there while it’s played, and inevitably have to actually play it once their pre-schooler is bored of controlling things. But what they absolutely bloody well shouldn’t have done is charged £25 for it! Good lord, if I hadn’t gotten this for free I’d not be writing a review right now, I’d be on a rampage, destroying continents. It’s not worth a fiver. (It’s £30 on console!) What a crock. My tip: don’t tell your child it exists and then you’ll likely not need to worry. And my other much better tip: get your pre-schoolers (and indeed schoolers) watching Wild Kratts. It’s on Netflix in the UK, PBS Kids is the US, TVOKids in its native Canada, and they put it up on YouTube! Because if you’re just so achingly sick of the bilge, trust me, this is pretty decent, and actually teaches some super interesting facts about animals. Did you know that the loudest animal on Earth is the sperm whale?! I didn’t! So there you are. PS. I hate Paw Patrol. 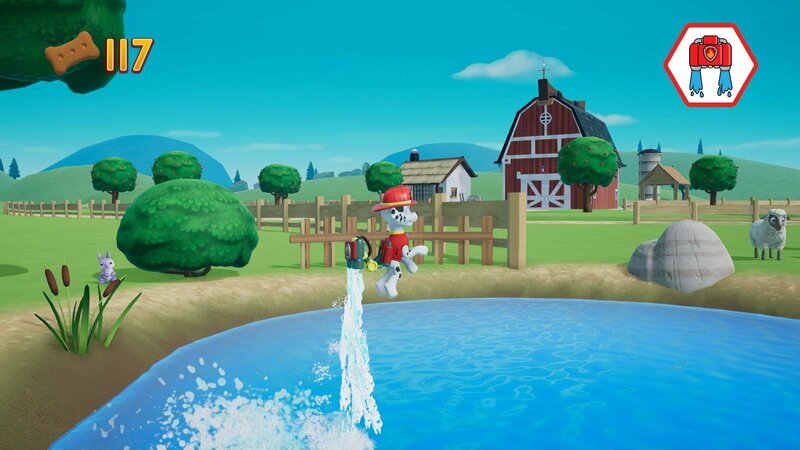 More about Paw Patrol: On A Roll!